Developed by the UReachToronto team, this resource map includes many social services and ethnic resources specific to newcomers in the Scarborough Area. 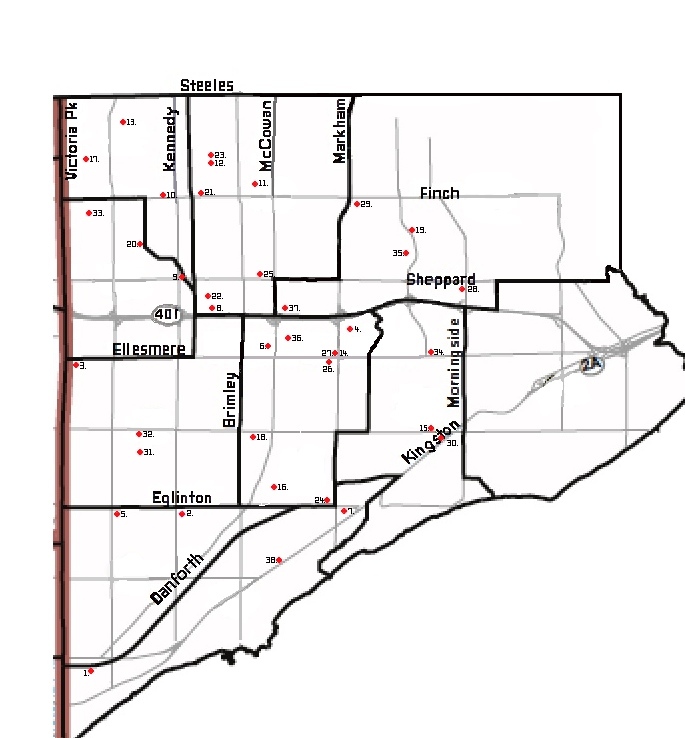 Most of the agencies serving newcomers in Scarborough are listed on this map. If your church is located in Scarborough then this map will help you to locate what resources are available in your community. Most of the agencies serving newcomers in Scarborough are listed below. You may hover your mouse over the number and it will tell you the name of the service. Clicking on the numbers on the map will take you directly to the website of that service. The services are also listed (alphabetically) below the map (numbers correspond to the numbers on the map). Toronto Wards 35-44 are a part of Scarborough.